The seventh annual running of one of the world’s richest juvenile greyhound races, the Con & Annie Kirby Memorial Stake, has been launched at Limerick Greyhound Stadium. The past six years of the competition have seen Limerick GAA clubs share in the event fund, with each of the 72 greyhounds in the event assigned to a GAA club. The winning greyhound’s assigned GAA club win a nominator prize of €10,000 and a free benefit night at Limerick Greyhound Stadium. Sponsored by Noreen and JP McManus in honour of her parents, Con & Annie Kirby, the competition has the biggest prize fund in Ireland after the Irish Greyhound Derby, with a total fund of €160,000. 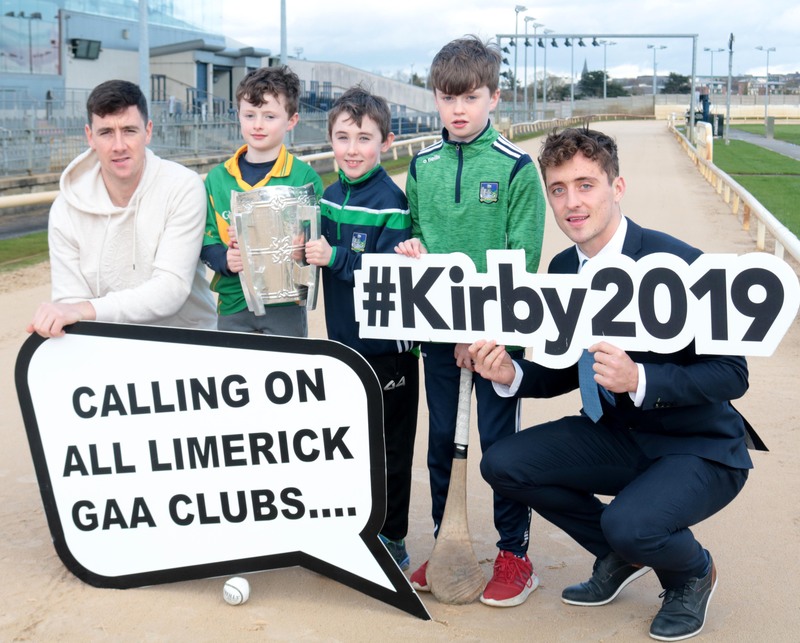 Limerick GAA clubs avail of €20,000 of this prize money. The event is seen as a platform for young greyhounds to go on to Derby success, with Rural Hawaii, Ballymac Matt and others winning Derby finals in recent years having firstly been involved with the Con & Annie Kirby Memorial Stake. The Pat-Buckley trained Droopys Davy won last year’s event, with Cappagh GAA taking home the spoils. The club have subsequently begun work on a walkway around their pitch that will benefit their rural community. PRO of Cappagh GAA, Cormac O’ Shea, said at the launch: “It’s paramount that we had this money because this work wouldn’t have been able to go ahead without it." The Con & Annie Kirby Memorial Stake will run for five consecutive Saturdays, beginning on Saturday March 23rd. The final will take place on Easter Saturday, April 20th. U12 PUC/KIC Fada: Saturday, 23rd March @ 5.15pm. Entry Requirements: Only one participant, born in 2007, from each club. The Final will take place on the same night. Register your entry at registration. Show your club's support for your nominated greyhound and take part in the club banner parade. The bigger, the more colourful, the more excited you are the better!